“Boone County Courthouse will be closed from 10:30 to Noon on Thursday, October 27, 2016 for the funeral of Sheryl Machacek. 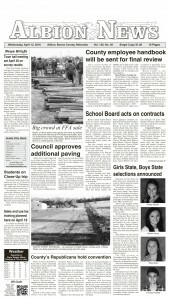 County Commissioners decided to close the courthouse for the funeral at their Oct. 26 meeting. Sheryl, 51, a key member of the Boone County Sheriff’s office staff, died unexpectedly at her home last Saturday, Oct. 22. 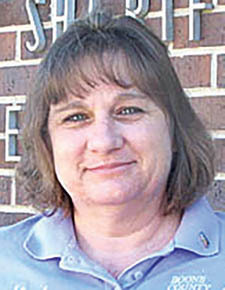 Sheryl had been employed by the Boone County Sheriff’s Department for 18 years, joining the staff in September of 1998. She had served as a jailer/dispatcher throughout her tenure, and was appointed as Sheriff’s Department Communications Director in March of 2009. In 2010, she was named Dispatcher of the Year by the Nebraska Emergency Services Communications Association (NESCA) for her actions during a 911 emergency call in September, 2009. She had talked a local woman through the steps of CPR so she could assist her husband, who was having a heart attack. The husband survived a very serious medical emergency. Details in the Oct. 26 Albion News print and e-editions.